Our expertise and knowledge is unrivaled. Our partners have more than 100 years of collective experience. is constantly recognized by our clients. We are dedicated to protecting your assets and securing your children’s future. the difficult divorce process alone. Our attorneys provide the highest quality of client service. Your financial & emotional future matters. We are dedicated to protecting your assets and securing your children's future. 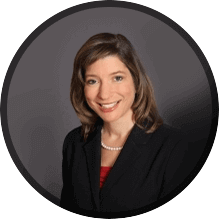 The Long Island divorce attorneys at Samuelson Hause & Samuelson, LLP are dedicated to professional excellence in representing clients in divorce and other family law matters. Our partners have more than 100 years of collective experience in this field and are skilled in litigating contested divorce and custody cases, as well as providing the legal representation and guidance that our clients need to achieve the best possible settlements at the conclusion of their cases. Samuelson Hause & Samuelson, LLP was founded in Nassau County, Long Island by its senior partner Elliot Samuelson. 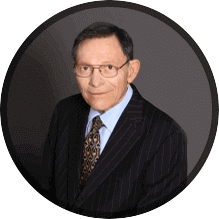 A law firm of distinction, our dedicated team of professionals is led by Mr. Samuelson, who has established himself as one of New York's finest attorneys. He has published more than 100 professional articles about divorce law; a definitive legal treatise on motion practice; and the acclaimed "Divorce Law Handbook: A Comprehensive Guide to Matrimonial Practice." as well as "Unmarried Couples." He has also been a frequent guest on radio and television shows concerning divorce and separation, including Larry King Live. 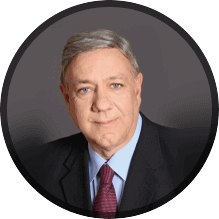 Through many years of experience handling a wide variety of divorce, child custody, and family law cases, Attorney Samuelson has garnered the trust and admiration of his clients and peers alike. His continuous devotion to protecting individuals and their families during arduous times is the foundation for our law firm's success. Our hard work and dedication has been recognized by our clients. Samuelson Hause & Samuelson, LLP. Our divorce attorneys in Nassau County, NY have an AV® Rating by Martindale-Hubbell®, which is the highest possible rating for legal ability and ethical standards, as well as numerous other awards and accolades. Attorney Elliot Samuelson and Wendy Samuelson have been included in Ten Leaders in Matrimonial Law. Richard Hause and Elliot Samuelson are listed amongst The Best Lawyers in America® and the firm is recognized by US News & World Report as a Tier 1 Family Law Firm. These accolades demonstrate that we are recognized and respected not only by our loyal clients, but also by our peers and by trusted peer-review services. These are only a few of our many awards and recognitions. Keep in mind that Martindale-Hubbell® and Super Lawyers® are two of the most trusted lawyer-rating services in the nation. Also, for the BBB® to determine that a firm meets the standards of accreditation, it means that they see the ability and commitment to practice in good faith and resolve any customer complaints. Two of our attorneys are members of the American Academy of Matrimonial Lawyers (AAML), one of the most prestigious matrimonial organizations in the country. Experienced in all areas of matrimonial & family law. If you choose to obtain a legal separation or a divorce, our lawyers can counsel you regarding the benefits and responsibility that may be incurred so that you can make educated decisions about the strategy to pursue. Samuelson Hause Samuelson, LLP has handled aspects of contested divorce including valuations of businesses and professional practices, stock options and licenses. If a trial becomes necessary, we can provide capable and aggressive litigation on your behalf. Our attorneys are also skilled in divorce mediation. Once you have decided what path to pursue, our attorneys can guide you through the difficult process of equitable distribution and the evaluation and distribution of business assets and professional practices. Even if you are involved in a complex high net worth case, we have the experience, depth and skill to help you obtain a fair settlement, or court award. Additionally, we can assist in drafting a detailed and comprehensive prenuptial agreement , if you are looking to protect your assets and property before entering into marriage. Fighting for child custody & other divorce orders. Child custody is also a major part of our practice. We keep in mind your best interests as well as those of your child when helping you obtain a court order for custody, whether it is sole or joint, physical or legal. You may also need to obtain a court order for child support or spousal maintenance (alimony) due to your financial circumstances after a divorce. Our lawyers will fight tirelessly to ensure that you receive a favorable outcome if a trial is needed. As a parent or grandparent, according to the law, no bias or partiality may be shown between such parties simply due to their gender or role in the family. Our attorneys can skillfully argue for and protect your fathers', mothers', or grandparents' rights in court. This includes your right to custody, support, and visitation. Parental alienation is an issue that often arises in these cases, as well. We know your rights as a mother or father and can fight against any wrongful actions that the other parent is taking to turn your child against you. We also assist clients in obtaining orders of protection, such as in domestic violence cases, and can also help clients petition for modifications of any court orders in case of a substantial change in circumstances. Attorney advertising pursuant to New York RPC 7.1. Prior results do not guarantee a similar outcome.